"The tragedy of the commons is a phrase used to refer to a class of phenomena that involve a conflict for resources between individual interests and the common good. The term derives originally from a parable published by William Forster Lloyd in his 1833 book on population. 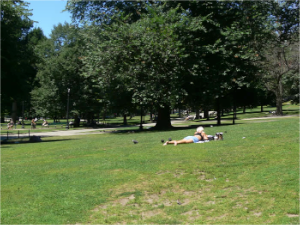 It was then popularized and extended by Garrett Hardin in his 1968 Science essay 'The Tragedy of the Commons'." Many people feel that this concept applies automatically to any and all unlicensed use of spectrum. 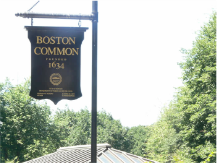 This page explores examples of actual use of commons. It also points out that other industrialized countries have very different approaches to land ownership that US common law. "The title of my 1968 paper should have been 'The Tragedy of the Unmanaged Commons' . . . Clearly the background of the resources discussed by Lloyd (and later by myself) was one of non-management of the commons under conditions of scarcity." "An important quality of collision is mutuality. If I collide with you, then you collide with me. And if I don't collide with you, you don't collide with me. In promoting my interest in avoiding collision with you, I also promote your interest in avoiding collision with me." In July 2006 I went on a sailing cruise from Hamble, (old) Hampshire, near Southampton. Arriving early, I wandered around the town -- which was conveniently having a festival. 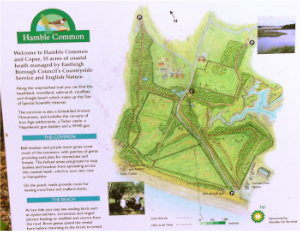 Walking around, I discovered Hamble Common! 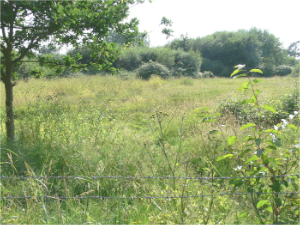 A field in Hamble Common. Any sign of overgrazing? 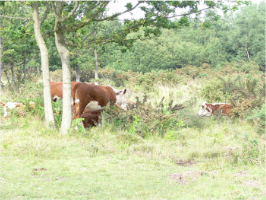 Do these Hamble Common cattle look unhappy? Back to my home town, The "City on a Hill", the "Hub of the Universe". 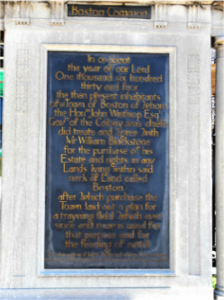 "Since 1634"
See any tragedies around here? Allemansrätten is the Swedish word for what is more generally called "right of public access to the wilderness" or the right of innocent passage on private property. Scandinavian countries and Scotland for hundreds of years have allowed certain public access to private land on the condition that it does not damage private property or disturb the immediate area surrounding a residence. In the UK outside of Scotland, the Countryside and Rights of Way Act 2000 creates similar rights that are now being phased in.